Jay Z’s new album was released in the wee hours of this morning and it is all the rave at the moment. The 4:44 album was dropped exclusively on Tidal, a music streaming service owned by Jay Z and some other music artists. This is Jay Z’s 13th studio album and it appears to be really personal just like Beyonce’s Lemonade. 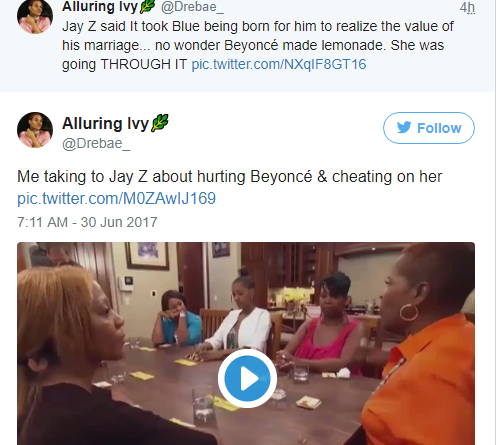 In it, Jay Z revealed quite a lot, including admitting that he cheated on his wife, Beyonce and it affected her and their child, Blue Ivy. 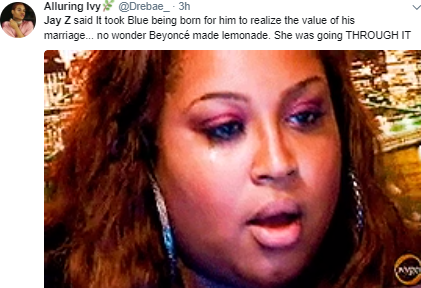 He said it took Blue being born for him to realize the value of his marriage. 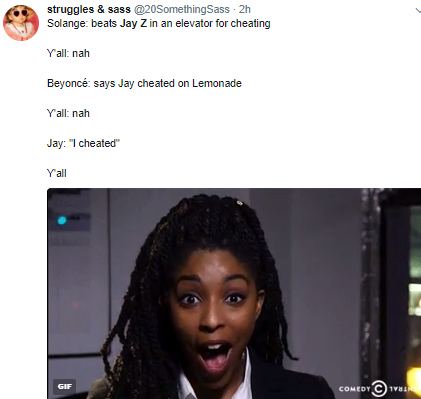 He also rapped about that infamous elevator fight with Solange and kind of acknowledged that it had to do with him cheating. He called out his former best friend Kanye West, OJ Simpson, Rapper Future and more. 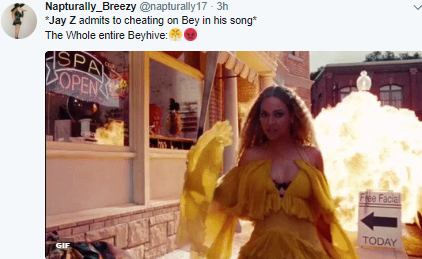 Following his revelations, the Beyhive went in on the rapper specifically because he cheated on their queen. 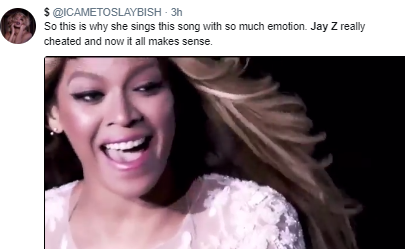 The Beyhive aside, a lot of people have praised the album as a work of genius and one of the best in recent times. 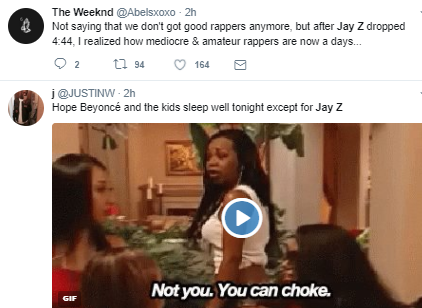 The first song on the album is titled Kill Jay Z and it makes reference to the death of the former way of spelling his name without the dash. The new spelling will now be JAY-Z, all in capital letters and with a dash. 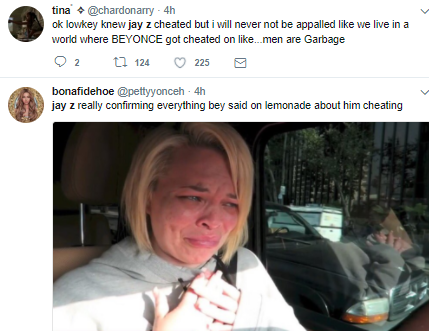 Jay Z expressed remorse for cheating on Bey. In the track Family Feud, he makes reference to Becky, a name Beyonce mentioned in one of her songs, “Sorry”, from the Lemonade album when she said, “better call Becky with the good hair”. The father-of-three continued to address his infidelity on the track titled “Kill Jay Z”. He said he could have lost his family from his cheating ways. He went on in the same track to shade rapper Future for letting his relationship with Ciara end. “You almost went Eric Benét.. Let the baddest girl get away… In the FUTURE, other niggas playin’ football with your son,” he says making reference to Future’s son with Ciara, Future Jr., whose stepfather is NFL star Russell Wilson. On the track titled “Family Feud”, Jay Z talks about Rev. Al Sharpton’s mirror selfie that hit the internet just last week (read here). 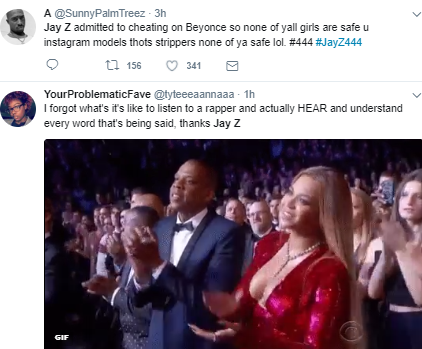 This is an indication that the 4:44 album was only recently completed. There are 10 tracks on the 4:44 album and they include: Kill Jay Z, The Story of O.J., Smile, Caught Their Eyes, 4:44, Family Feud, Bam, Moonlight, Marcy Me, Legacy.